When terms like “own root roses” and “grafted roses” are used, this can leave a new rose gardener confused. What does it mean when a rose bush grows on its own roots? And what does it mean when a rose bush has grafted roots? 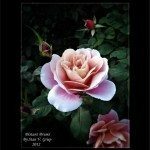 Let’s look at what the differences between own root roses and grafted roses are. Many of the rose bushes on the market are known as “grafted” rose bushes. These are rose bushes that have a top variety of rose that typically is not as hardy when grown upon its own root system. Thus, these roses are grafted onto a hardier rose bush rootstock. In my area of USDA Zone 5 — Colorado, the bottom part of the grafted rose has commonly been a rose bush named Dr. Huey rose (climbing rose) or perhaps one named R. multiflora. Dr. Huey is an extremely hardy and strong rose that will keep on going like the Energizer bunny. In my rose beds, as well as many others, the top part of the grafted rose bush had died and seen the Dr. Huey rootstock send up new cane shoots from below the graft. Many a rose loving gardener has been fooled into thinking the rose bush they loved is coming back only to discover that it is truly the prolific grower Dr. Huey that has taken over. Not that the Dr. Huey rose blooms are not pretty; they just are not the same as the rose bush originally purchased. A concern with letting the Dr. Huey rose bush keep on growing is that he loves to spread out and take over! So unless you have a lot of room for him to do so, it is best to dig out the rose bush, getting all of the roots that you possibly can. Another rootstock used for grafted roses is named Fortuniana rose (also known as Double Cherokee rose). 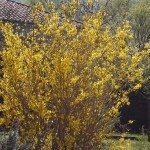 Fortuniana, while a hardy rootstock, was not as strong in the more harsh winter climates. But the Fortuniana rootstock grafted rose bushes have shown far better bloom production that either R. multiflora or Dr. Huey in tests that have been conducted however they still have the cold climate survival drawback. When looking for rose bushes for your gardens, remember that a “grafted” rose bush means one that has been made up of two different rose bushes. 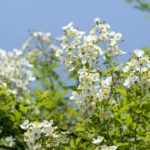 What are Own Root Roses? “Own root” rose bushes are simply that – rose bushes that are grown on their root systems. Some own root rose bushes will be less hardy and a bit more disease prone until they get well established in your rose bed or garden. Some own root roses will stay less hardy and more prone to disease throughout their lifetimes. 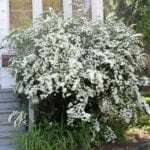 Do some research on the own root rose bush you are considering for your rose bed or garden prior to buying it. 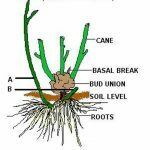 This research will guide you as to whether it is better to go with the grafted rose bush or if the own root type can hold its own in your climatic conditions. The research also pays huge dividends when it comes to having a happy, healthy rose bush versus having to deal with a sickly one. I personally have several own root rose bushes that do very well in my rose beds. The big thing for me, apart from doing the research on their own root health, is that if these rose bushes die all the way back to the ground level over the winter, what comes up from that surviving root system will be the rose I loved and wanted in my rose bed! My Buck rose bushes are own root roses as well as all of my miniature and mini-flora rose bushes. Many of my miniature and mini-flora rose bushes are the toughest of roses when it comes to surviving some harsh winters here. Many a year I have had to prune these wonderful rose bushes all the way back to ground level in the early spring. They continually amaze me at the vigor they come back with and the blooms they produce.